The redevelopment of the Hunters Point Shipyard could be stalled for more than a year while the Navy investigates new concerns about radiation. 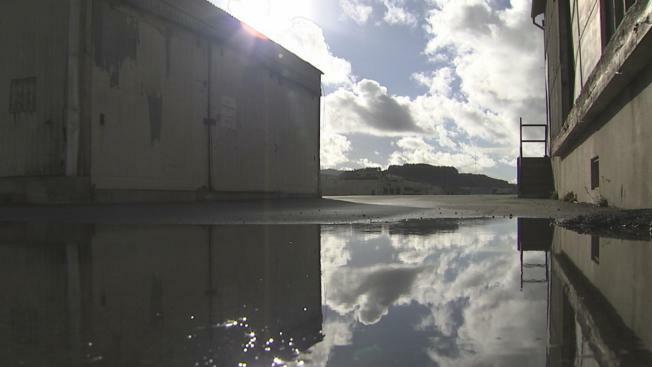 Derek Robinson, the environmental coordinator for the Navy at Hunters Point, confirmed to NBC Bay Area on Wednesday that it is undertaking a comprehensive review of all soil sample data submitted by a former contractor. He said the Navy will also examine specific locations on the shipyard where a former worker admitted to hiding soil samples that may have contained radioactive contamination. Robinson said the first phase of the investigation would be completed this year and that any additional remediation would be finished next spring. The decision to reinvestigate the cleanup of the Shipyard stems from revelations made by Anthony Smith, a former radiation control technician who worked at the site on and off from 2002 to 2012. Smith revealed to the NBC Bay Area Investigative Unit last year the tactics he said he and his supervisors used to conceal radiation on Hunters Point. The Navy had already investigated the cleanup work of the contractor in question – Tetra Tech – starting in 2012. The company admitted that it had mishandled soil samples and submitted falsified data. Tens of thousands of soil samples were reviewed, the land was resampled and additional cleanup work was performed. That was supposed to be the end of it. But new information from Smith caused the Navy to launch another investigation into the cleanup performed by Tetra Tech. The Navy has hired five companies to review the data. Though the Navy has allowed Tetra Tech to fulfill the remainder of its contracts, Tetra Tech will not be performing any part of the new investigation. The company did not immediately respond to requests for comment. And, while it’s unclear how much money the investigation will cost, it will be at the expense of taxpayers. “We have to make sure the property is safe for future transfer so it’s worth taxpayer dollars to ensure the property is safe,” Robinson said. Tetra Tech has won more than $300 million in federal contracts to clean up the Shipyard. For decades on Hunters Point, the Navy operated a radiological defense lab, performed radiation tests on animals and decontaminated ships exposed to nuclear weapons tests. The prime waterfront real estate is slated for parks, shops, offices and homes. People are already living in condos at the Shipyard, and more housing units are currently under construction. Robinson said the residential portion of Hunters Point is safe. The Navy is confident that land already turned over to the city for redevelopment has been properly cleaned up. Greenaction, a local group with an office near the Shipyard, is calling on the Navy for additional community oversight of the new investigation. In a letter sent to the Navy last fall, the U.S. Environmental Protection Agency and the California Department of Toxic Substances Control reiterated an agreement that the Navy would not propose any further transfers of the property for redevelopment. San Francisco supervisor Malia Cohen, who represents Hunters Point, said the cleanup of the 800 acre former superfund site alarms her. Cohen and Mayor Ed Lee sent a letter to the EPA last fall explaining that the city will not accept the transfer of any land until regulators deem the land safe and the city’s health department signs off on the decision.